Deirdre Denholm launched her professional writing career in 2010. She is a graduate of the Ontario College of Art and Design, Toronto, a certified personal trainer and teaches aqua aerobics, yoga and cycle. Denholm also holds Bachelor of Arts degrees in English literature and psychology from York University, Toronto. Reactive hypoglycemia is low blood sugar that occurs after eating. Reactive hypoglycemia usually occurs 1 to 3 hours after you eat food high in sugar, or food with a high-glycemic index. After eating these foods, your blood sugar level fluctuates by elevating too high and then dropping down too low. Reactive hypoglycemia is possibly the most common reason for hypoglycemia in non-diabetics, according to NetDoctor.com.uk. 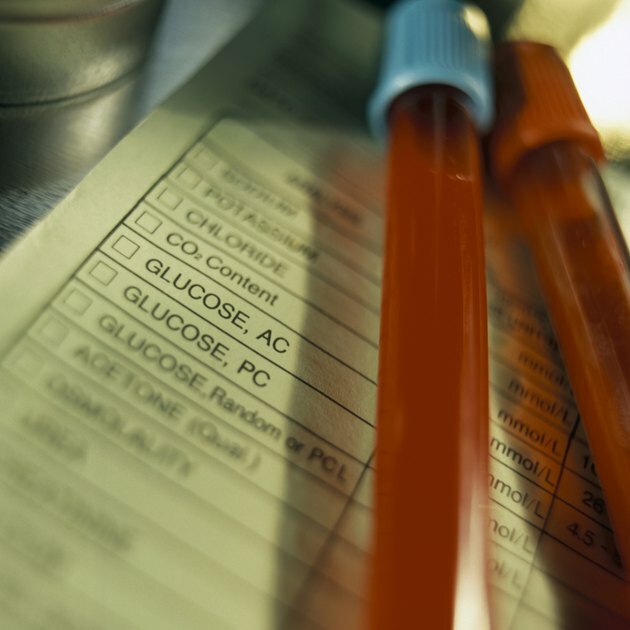 Normal blood sugar should range from 80 to 100 mg/dL. Low blood sugar occurs when your blood glucose drops below 70 mg/dL. The hormone insulin helps maintain your blood glucose. After you eat, your blood sugar increases and your body secretes insulin to bring your blood sugar back to normal. Type 1 diabetics need to inject insulin, as their bodies do not make any. Type 2 diabetics may still produce insulin, but either not enough, or their bodies don't respond to it properly. They often need medication to bring their blood sugar levels down. Reactive hypoglycemia causes symptoms similar to anxiety. You might sweat and feel shaky or weak, or develop a headache. If you experience these symptoms, you should follow-up by eating a healthy meal as soon as possible. The best way to prevent reactive hypoglycemia is by eating small meals throughout the day and eating a healthy, balanced diet, low in refined sugar. The glycemic index is a measurement used to rank how fast and how high a particular food can raise blood sugar. Carbohydrate foods with a high glycemic index are more likely to cause reactive hypoglycemia. To avoid reactive hypoglycemia, eat foods with a glycemic index below 55. High glycemic index foods include sugar, dates, potatoes, pumpkin, white rice, many cereals, white bread and some crackers. Foods that have a lower glycemic index are nuts, pasta, yams, chickpeas, kidney beans, lentils, soy beans, unsweetened dairy products and most other vegetables. Low-glycemic index fruits are apples, pears and plums. If you are going to eat foods with a high glycemic index, only eat them with a properly balanced meal to help keep your blood sugar steady. Avoid eating sugary foods before bedtime, or when you cannot eat a full meal for several hours. Reactive hypoglycemia is more likely to occur when you eat something sugary after you have been fasting. You should have your blood glucose tested annually, as part of your regular check-up. Do Blood Sugar Levels Affect Mood Swings?